SPS specializes in solving unique application and process problems. Need a quote for PVC Tubing, Hoses or Rigid Components? If you have a demanding application, SPS Canada can help. SPS Canada recommends the BraidFLEX 70N braid reinforced PVC tubing that complies with NSF-51 and FDA CFR 21 standards, making it ideal for food packaging. The embedded braids prevent material entrapment and ensures easy cleaning. This reinforced PVC tubing is semi rigid, but maintains enough flexibility to bend allowing the use of tight compression or crimp fittings for a leak proof finish. BraidFLEX 70 is ideal for use in food and beverage transfer due to its clear design, allowing for flow monitoring with a maximum working pressure clearly printed on the tubing itself. ClearFLEX V60 is similar to ClearFLEX 60 but is best used as vacuum PVC tubing. Built with extra heavy walls, these tubes withstand vacuum (30″ Hg) at room temperature and 26″ Hg at 140°F and have excellent resistance to corrosive atmospheres. ClearFLEX 70 is clear PVC tubing that is compliant with FDA CFR 21, USP Class VI, NSF 51, and USDA Standards and is non-toxic. It will not impart on odor or taste when used for food or beverage transfer and is clear and flexible which make flow monitoring and layout quite easy. FLEX GP70B is very similar to Flex GP70, but due to its tough black exterior, this flexible PVC tubing is more resistant to UV exposure than clear tubing and does not promote algae growth. Both Flex GP70 and this ultra flexible PVC tubing comply with FDA CR 21 standards for food packaging. The unique design resists aging, abrasion, chemicals and has excellent wear ability. A smooth inner wall ensures the highest flow characteristics and makes it easy to connect with other tubing. It is the ideal, cost effective alternative to ClearFlex in applications that do not require regulatory compliance. ClearFLEX 60, ClearFLEX 70 can be sterilized by autoclaving, gas or chemical methods. 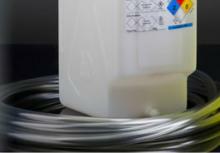 BraidFLEX can be sterilized by gas or chemical methods. PURFLEX 75 and 85 can be sterilized by gas. 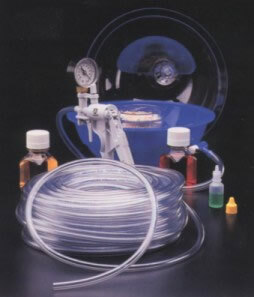 PolyFLEX 50 can be sterilized by chemical methods. 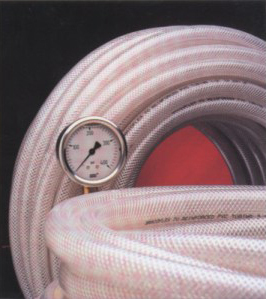 (121 °C, 15 psig for 20 minutes) – Clean and rinse tubing with distilled water before autoclaving. Certain chemicals which have no appreciable effect on resins at room temperature may cause deterioration at autoclaving temperatures unless removed with distilled water beforehand. Benzalkonium chloride, formalin, ethanol, etc. SPS gives freedom of choice to the research and development professional, system designer, process engineer and bio-engineers. We offer a complete program of Sanitary Processing Systems and components that includes fabrication equipment for field installations, as well as small scale Labtop systems for research and process development. These products are manufactured with time proven materials like polypropylene and Kynar PVDF, all of which meet (and/or) surpass FDA, USDA, 3A, and USP standards and regulations. Our simplicity in design, along with our field friendly fabrication equipment, will help you implement your unique situation. Most components are reusable and reconfigurable. Complete process control is gained through simplicity of design, consistency of contact surface, and uniformity of flow criteria within all our flexible and rigid products. If you have a demanding application, and cannot find the right product within this catalog, please contact us to discuss it. SPS specializes in solving unique application and process problems, allowing you to come through clean.